Hybridization with alien species is a threat to a number of plants ranging from grasses and broad-leaved herbs to woody shrubs and trees (Levin et al. 1996; Daehler and Carino 2001). Simulation models of the hybridization process indicate that it can lead to extinction of native species by aliens in five or fewer generations (Wolf et al. 2001). A current example is Lantana depressa, a member of the verbena family, which is distributed throughout peninsular Florida.This diploid species has come into close contact with L.
camara, a widely planted, exotic tetraploid species. 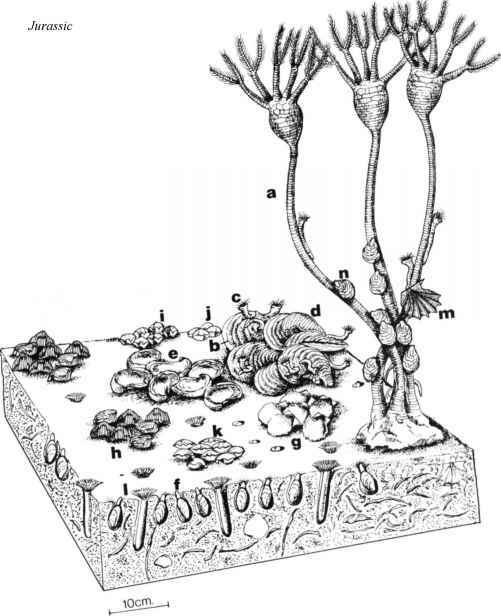 Hybrids between the two produce triploid progeny that spread vigorously through the natural habitat of L. depressa (Sanders 1987). It appears likely that in time these hybrids will completely displace diploid populations of L. depressa. Several freshwater mussels and crayfish in North America are also suffering from hybridization because of the introduction of species to waters to which they are alien. Hybridization has been documented between several species of the genus Orconectes, thus complicating the already serious problem of competitive displacement of locally endemic crayfish described earlier (Perry et al. 2001b). Several cases of interspecific hybridization between mussels also have been documented, and the decline of two related species in the Susquehanna River has been attributed to hybridization (Perry et al. 2002). Hybridization is probably much more widespread than yet recognized among freshwater invertebrates. In New Zealand, introduction of the common blue butterfly (Zizina labradus) from Australia has led to the genetic extinction of the southern blue butterfly (Z. oxyleyi) by hybridization (Barlow and Goldson 2002). About 38% of the fish extinctions in North America within recorded history (Miller et al. 1989) were judged to have been caused in some measure by introgressive hybridization. These include the extinctions of at least two subspecies of cutthroat trout (Oncorhynchus clarki) and two locally endemic species of Gambusia that hybridized with the widely introduced Gambusia affinis. Isolated populations of fish in springs and headwater streams are at high risk from hybridization. Often these forms are closely related to more widespread forms from which they have diverged because of their isolation. In Texas, for example, the Leon Springs pupfish (Cyprinodon bovinus) occurs in a small, spring-fed tributary of the Pecos River. Recent examination of these field populations revealed that hybridization has occurred with the more widespread sheepshead minnow (Cyprinodon variegatus), which was introduced to its habitat (Echelle and Echelle 1997).All field populations of this endemic are affected, but fortunately, a pure captive population exists. In a related case, the Pecos pupfish (Cyprinodon pecosensis), which occupies the main portion of the Pecos River in Texas and New Mexico, has suffered introgression from the sheepshead minnow over about 300 km of the river in Texas (Wilde and Echelle 1997). Both of these cases of introduction of sheepshead minnows to waters with related species are probably the result of the common use of sheepshead minnows as bait fish. A special circumstance involves hatchery and wild salmon in the North Atlantic and North Pacific. In Norway, for example, Atlantic salmon (Salmo salar) farmed for seven generations differed significantly in morphology, behavior, growth, and life history features from the native fish from which they were derived (Fleming and Einum 1997). The changes, adaptive to the aquacultural environment, can be transmitted to wild populations through the escape of farmed animals. Interbreeding with wild salmon may thus reduce the fitness of wild salmon and hasten the extinction of wild populations. In Ireland, studies suggested that interbreeding of farmed and native salmon would lead to an increase in age of maturity in native populations, which might be maladaptive for salmon runs in shallow streams (McGinnity et al. 1997). Mammals and birds are in a few cases placed at risk of extinction through hybridization. In Scotland, for example, sika deer (Cervus nippon) introduced from Japan more than 100 yr ago are interbreeding with the native red deer (Cervus elaphus).The zone of interbreeding covers an area about 350 km from the point of introduction of the sika deer and does not appear to have stabilized (Abernethy 1994). Thus, the Scottish red deer population at large may be at risk from genetic introgression. The North American ruddy duck (Oxyura jamaicensis) was introduced to England in 1949 and has established a large population, which has recently invaded continental Europe. A small population of a close relative, the white-headed duck (O. leucocephala), has survived in southern Spain. Ruddy ducks have appeared in Spain, and some hybridization has been observed (Rhymer and Simberloff 1996).The Spanish population of the white-headed duck is small and isolated from the only other population of the species in central Asia. In this case, hybridization is a distinct threat to survival of the white-headed duck. Mallards have hybridized with other members of the genus Anas in Florida, Hawaii, and New Zealand to an extent that threatens the genetic extinction of local forms (Rhymer and Simberloff 1996). In eastern North America, hybridization between mallard (Anas platyrhynchos) and black (A. rubripes) ducks may be contributing to the gradual decline of the latter species. A 1991 study in New Brunswick, for example, found that 14% of pairs were of mixed composition (D'Eon et al. 1994). Europe. The trans-Saharan migratory population of the European quail, in particular, has declined in abundance in recent decades, and behavioral evidence for hybridization in field populations exists in France and Spain.